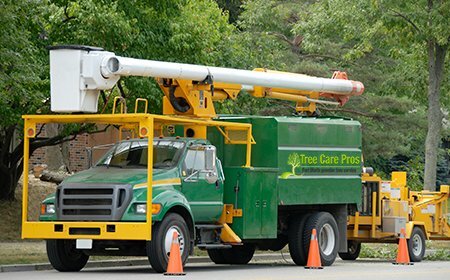 Tree Care Pros provides Fort Worth clients both commercial and residential tree services in Fort Worth, TX and surrounding Dallas Fort Worth regions. We have 18+ years of experience in the tree industry and we know the rights from the wrongs. Our tree service fort worth company is certified by the International Society of Arboriculture also known as (ISA) for short, and if you’re worried about any damages occurred we’re insured & bonded or if you’re worried about your tree’s health. Give our team of certified arborist a call today at (817) 402-2055! Whether you’re looking for tree trimming, tree removal, stump grinding, tree injections, or more we can help you and your tree care needs! Sick Trees Fort Worth. Trees can be and are very delicate, humans are much like trees in some ways. Such as tree diseases, the way they form and spread can be very deadly for a group of neighboring trees. You should always make sure not only your trees are healthy but also if your neighbor has a tree close by yours. Tree diseases can spread from tree to tree for a deadly surprise on your trees. If you are worried your tree may be sick, diseased, or not sure. Give our team of tree arborist a call today and you’ll even get a FREE estimate! Call Tree Care Pros for Tree Services such as Tree Trimming, Tree Removal, Stump Grinding, Sick Trees Fort Worth, Tree Disease, Tree Doctors, or more. We’re a 5-Star Rated Tree Service in the Fort Worth, Texas area.